Back in October I shared with my instagram community what my "daily and weekly life" briefly look like. 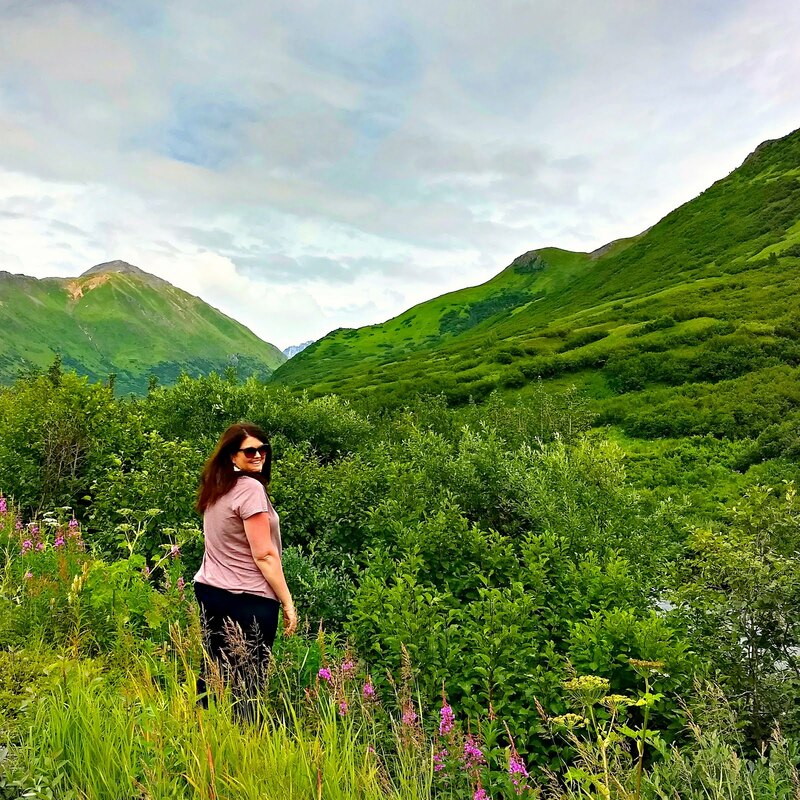 The two things that were the most shocking for most people was that I spend nearly $2500 dollars daily in my fight for my health and that I take 225 supplements each day (you can read the entire post HERE). 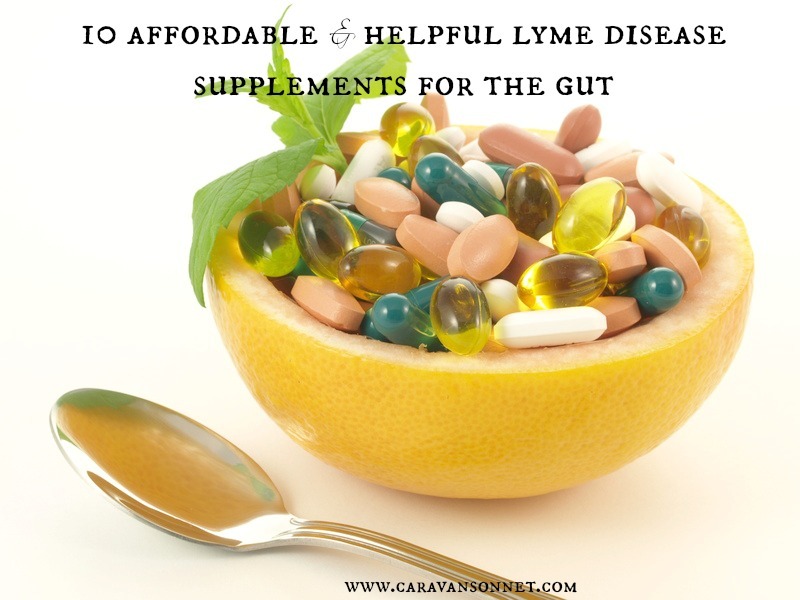 Today I wanted to share 10 of the most affordable and helpful supplements that I take for my gut that I have found the cheapest on Amazon in hopes that it may help other Lymies who are fighting for their health and looking for the most affordable products. Saccharomyces Boulardi + MOS (or "myce" as we have affectionately nicknamed it around our household) plays a HUGE part in my daily regime and my healing. Under the care of my doctors orders I take very large quantities of this and it has been a huge help for me - especially when I am in the midst of difficult and intense treatment rounds. I can't recommend it enough- especially for those of you who like me are on intensive and high med regimes. According to studies Saccharomyces Boulardi + MOS is helpful for the entire digestive track, general intestinal health, helps in nutrient absorption, helps with diarrhea, helps the immune system, and helps to combat the bad bacteria while restoring the good. 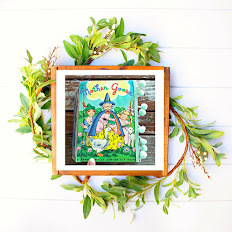 As with all of my supplements I did a ton of research on this and was amazed at how much this probiotic is known as the "king" of all probiotics for all of its health benefits. I also found that Jarrow Probiotics combination is thought to be the "best on the market" and "most potent" so that is why I use this particular brand. A new book, Saccharomyces boulardii: The Special Forces Probiotic became available in 2016 and I am looking forward to reading more about this special and helpful probiotic! Saccharomyces Boulardi + MOS is a bit expensive and I have found it for the cheapest on Amazon. The price seems to fluctuate on Amazon up to $35 for a large bottle but I have gotten it for as little as $26. I simply check every single day to see the price and order it at the cheapest times. 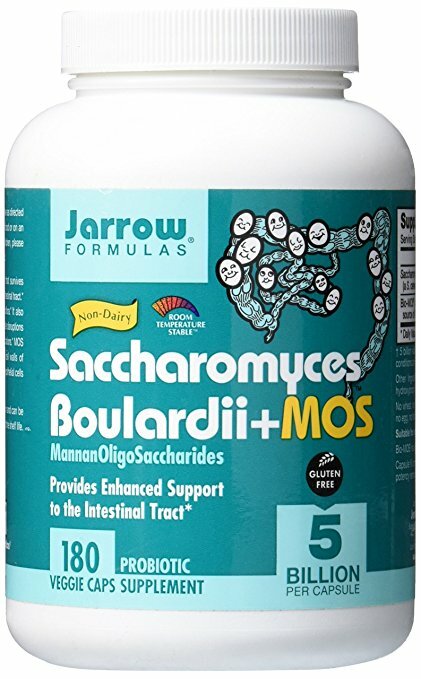 You can find Saccharomyces Boulardi + MOS on Amazon by clicking HERE. It is so important to have a digestive enzyme as part of each meal and after trying nearly 50 different ones over the last several years I have been extremely pleased with Biogest by Thorne Research. Biogest is a blend of HCI (hydrochloric acid), pepsin, pancreatin, and ox bile. This combination makes it helpful to promote the digestion of proteins, carbohydrates, and fats. One of the things that I love about Thorne Research, Inc. is that they do not make any products that contain Genetically Modified Organisms. Unfortunately (and what a lot of people don't realize) is that many digestive enzymes are filled with GMO's and this can be detrimental in the body- especially in fighting Lyme Disease. 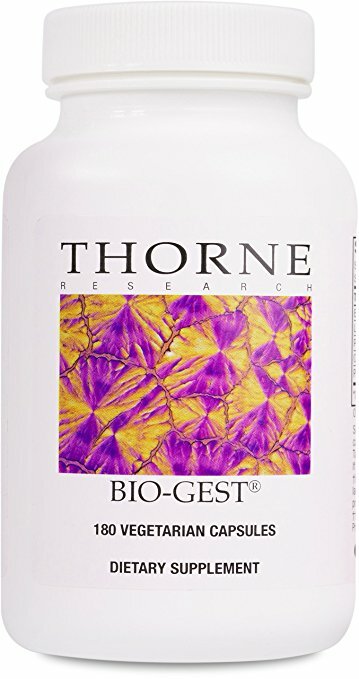 Biogest is a bit expensive and I have found it for the cheapest on the Thorne website HERE. You can find on Amazon by clicking HERE. 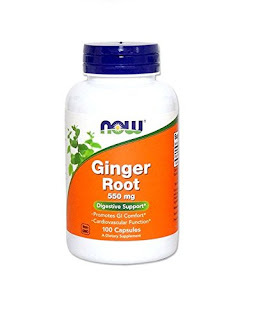 Ginger Root is one of my favorite supplements for my gut as it has so many different benefits. Scientific studies have shown that ginger helps to maintain healthy gut flora, helps to aid digestion, and can help calm and soothe the digestive track. In addition to this some studies show that ginger can help balance immune response and even help cardiovascular function. There are tons of amazing benefits of ginger and last year I wrote about 15 Amazing benefits of Ginger, which you can find HERE if you would like to learn more. After researching through different brands I ended up choosing the Ginger Root from NOW. I was impressed with the manufacturing and the price (less than $6 a bottle!) 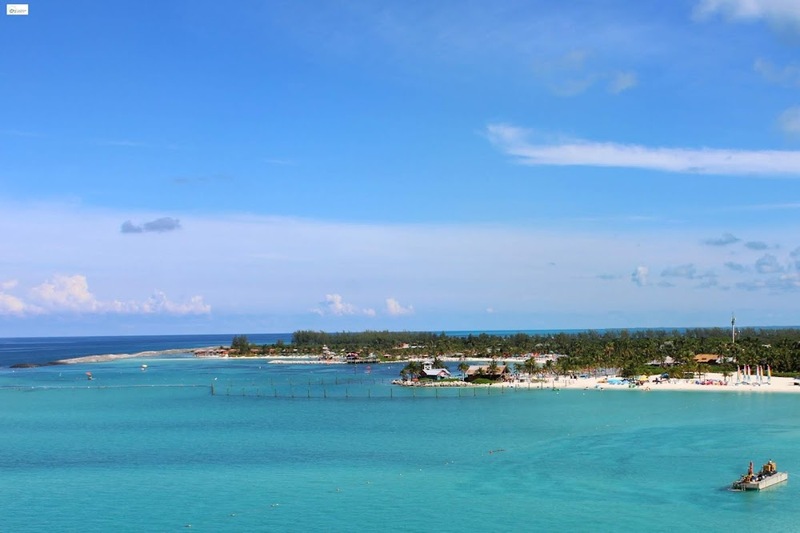 is hard to beat. You can find it on Amazon by clicking HERE. Slippery Elm is another product from NOW that I use that has been hugely beneficial in my healing process. Slippery Elm has been used an herbal remedy since the 19th century and is known to help a number of digestive issues. One of the unique things about Slippery Elm is that it contains mucilage, which is a substance that becomes a slick gel when it is mixed with water, which in turn coats and soothes the mouth, throat, stomach, and intestines over time. Slippery Elm also comes in powder form (which I took for a while before switching to this capsule) and has several amazing benefits. Slippery Elm is known to help the digestive track and those that suffer with IBS, helps to aid in weight loss, and some scientific studies are showing that it can help Psoriasis and Breast Cancer. More research is being done but it is amazing to think about all that this can help with in our bodies. 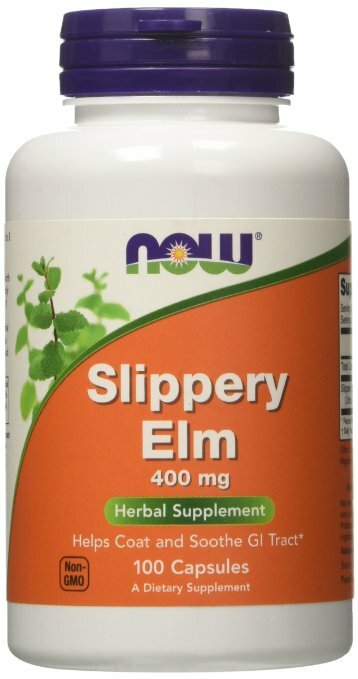 Slippery Elm is another wonderful supplement that is cheap (less than $5 with a Prime Membership on Amazon) and can be found HERE! I have shared many times how beneficial and important Aloe Vera has been in my healing journey. I rotate the different brands of Aloe that I use throughout the year, but George's Aloe Vera Supplement is one that I use consistently. There are many reasons for this. First, the taste is the easiest to swallow and drink and it allow me to use the necessary dose that I need. Second, it is free of preservatives and additives which is really important to me. Finally, I can personally attest that it has helped my gut in the healing process. Aloe Vera juice contains a wealth of nutrients and vitamins and minerals. In addition to this it helps to provide antioxidants, and helps support circulation in the body. Studies have shown that Aloe Vera juice helps to aid digestion and ease stomach aches. In addition it helps to increase the alkalization in the body. It helps to encourage a healthy stomach lining and some studies have also shown that it helps to boost the immune system. 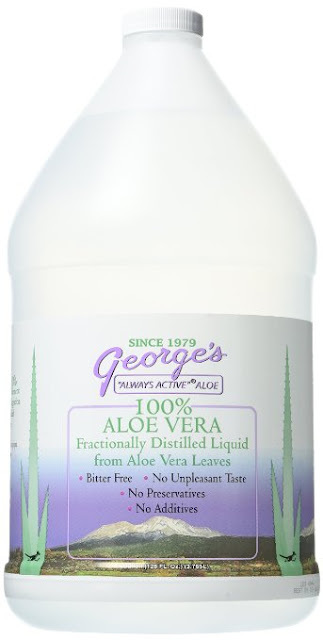 George's Aloe Vera Supplement can be found in your local health food store and sometimes I have found it cheaper there but other times I find it cheaper on Amazon. I buy a large bottle that lasts for a bit (and I even have traveled with it!). 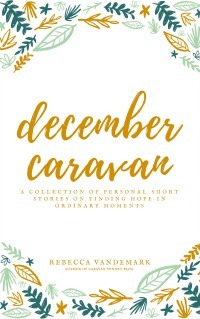 If you are interested in purchasing it on Amazon it can be found HERE! 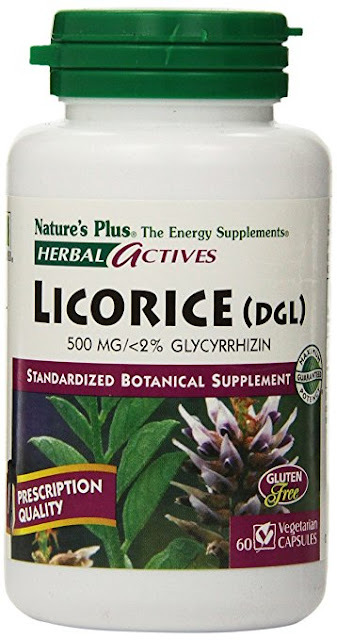 Licorice is a key component for Lyme Disease patients for a number of different things, including a helpful supplement for the gut. The herb's key therapeutic compound, glycyrrhizin, helps to give the body lots of different beneficial effects for the body, including helping to heal the digestive system and helps to heal ulcers. In addition Licorice helps to lower stomach acid levels, relieve indigestion and heartburn and can help with inflammation and spasms in the digestive tract. Licorice has additional health benefits beyond the gut as it is beneficial for the liver, helps to lower cholesterol levels, helps lessen the pain and fatigue of Chronic Fatigue Syndrome and Fibromyalgia, and can even help with PMS symptoms. With all of these benefits, Licorice is a top contender and supplement for me and yet it took a long time for me to find the right company. 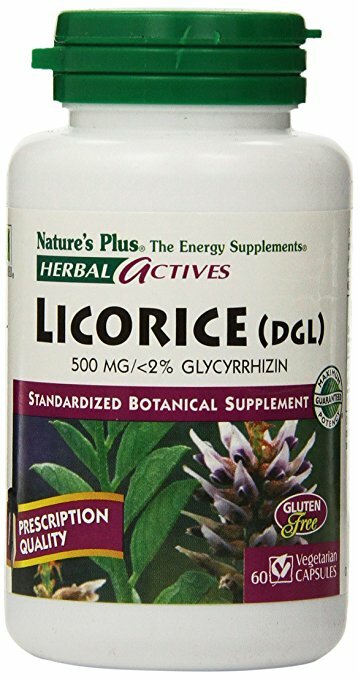 Unfortunately lots of licorice supplements have added ingredients, which may work for some people, but for a patient like me who is extremely fragile, I needed a supplement that was purely Licorice. After researching I found the Nature's Plus version and it has been a perfect fit for me. For all that Licorice does, this is one of the more affordable supplements that I take. I love when a supplement is helpful and healing for my gut, but also helps my body in other areas! On Amazon it retails for under $11. You can find it on Amazon by clicking HERE. 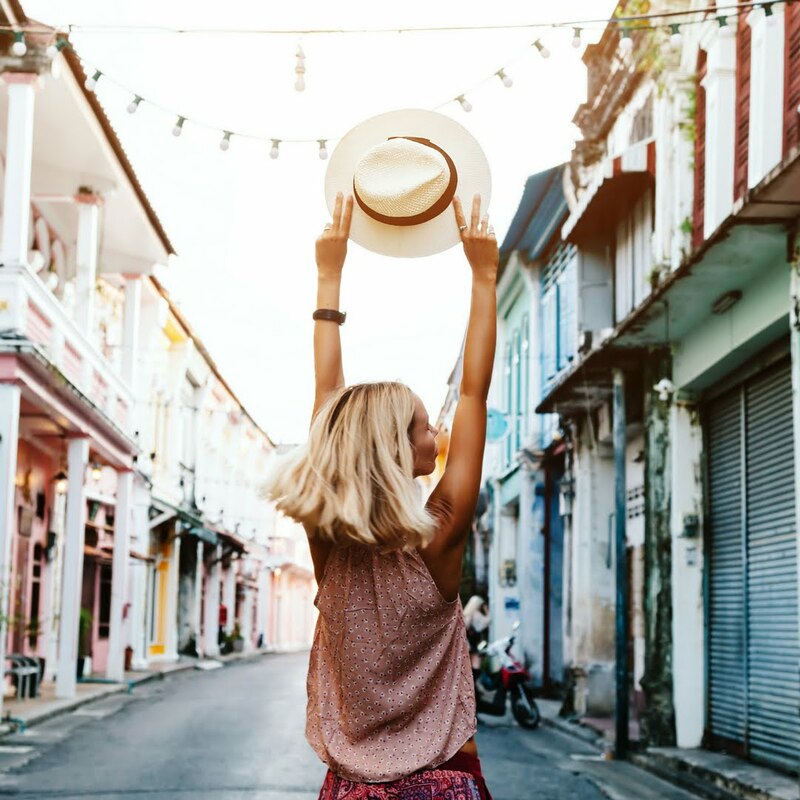 Bromelain is another one of those amazing supplements that is awesome for the gut but also has tons of other medicinal properties. Bromelain is a mixture of enzymes that is found in pineapples that helps to digest protein. It has been used for centuries throughout the world to help treat indigestion and reduce inflammation. Interestingly enough the German Commission approved Bromelain to treat swelling and inflammation after surgery, particularly sinus surgery! 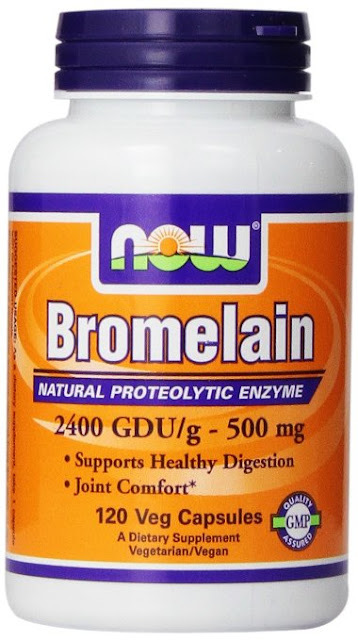 In addition to the amazing health benefits it has for the entire body, Bromelain has scientifically been shown to help heal issues in the gastrointestinal tract including IBD, Ulcertaive Colotis, Colon Cancer, Chron's Disease, Dyspepsia, and Constipation. If you are like me and enjoy pineapple than you probably are getting some of the amazing benefits already. But if you struggle to eat it everyday, then you might benefit as I do from the supplement. There are lots of different companies that make Bromelain, but like many other supplements they have added ingredients. This version from NOW is one of the only ones that has only Bromelain in the ingredients. The price fluctuates mildly on Amazon but stays under $20. You can purchase it on Amazon by clicking HERE. 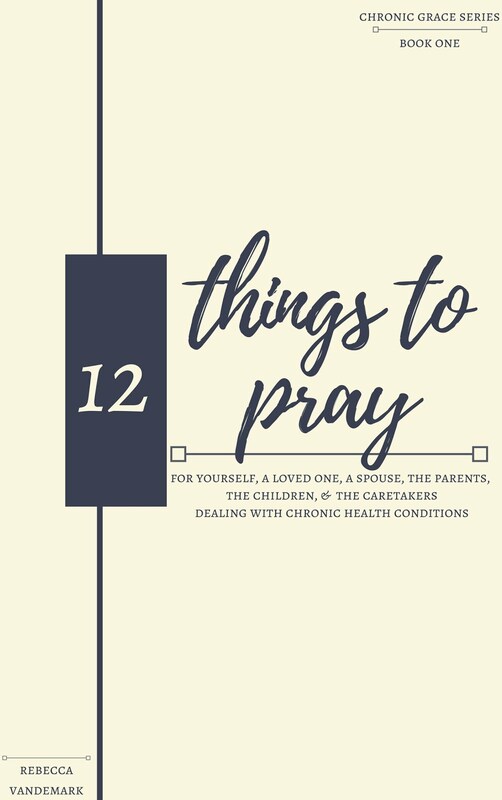 I have written several times here on the blog about the benefits of Apple Cider Vinegar (and 17 ways to use Apple Cider Vinegar) I won't bore you with repeating myself but I am definitely a huge believer in the power of this product. I can't recommend enough Bragg's Organic Apple Cider Vinegar and definitely encourage you to use that brand specifically. 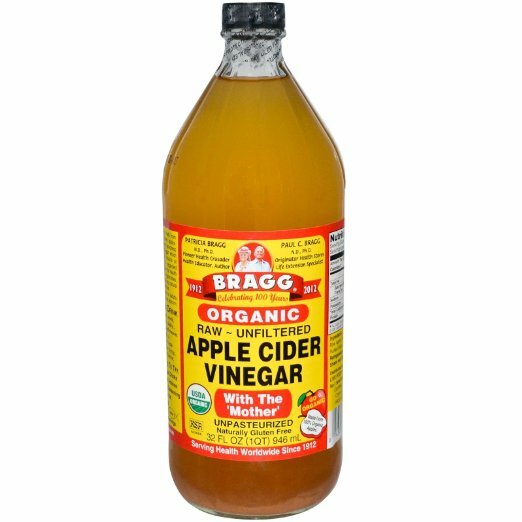 To be frank, I definitely feel the Bragg's Organic Apple Cider Vinegar is the best option, but sometimes you have to do what you can do to get in what you need and so this product by NOW might be the best option. Both are affordable and Bragg's Organic Apple Cider Vinegar can be purchased on Amazon by clicking HERE but I have found it in my local grocery store for cheaper (and for a larger bottle!). 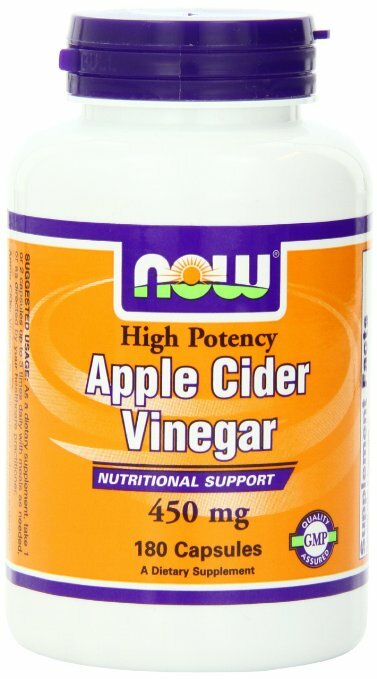 The NOW Apple Cider Vinegar caps can be cheaply found on Amazon for about $8 by clicking HERE. 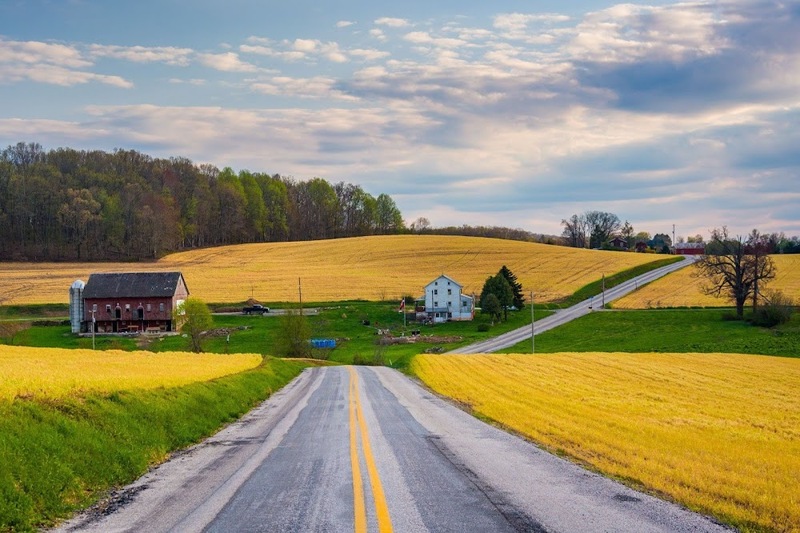 A couple of years ago, when I was really struggling and completely bed ridden (you can read more of this portion of my story in the Notes from the Porch updates section HERE) I was introduced to VSL #3 probiotic. 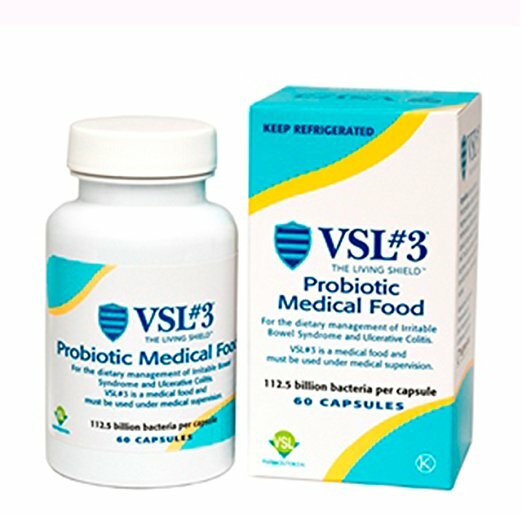 VSL #3 is a high potency probiotic medical food. VSL #3 formulations continue 225 billion to 900 billion bacteria per serving and is known to be one of the most potent probiotics in the world. VSL #3 has been played a huge part in my healing of my gut. It is one of the more expensive supplements that are apart of my treatment protocol but a huge part in my healing. I definitely recommend this. An important thing to note is that VSL #3 needs to be refrigerated and it also needs to be carefully monitored by a physician. 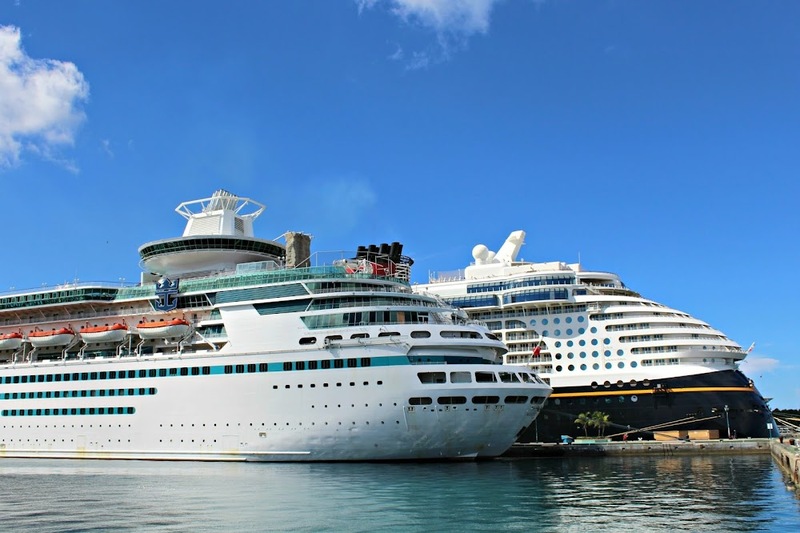 A physician can order the product and you can find out more HERE. Technically you can order the non-prescription version (which in my understanding is a little less potent but still the same ingredients) on Amazon HERE. A couple of years ago, when I was really struggling and completely bed ridden (you can read more of this portion of my story in the Notes from the Porch updates section HERE) I used peppermint oil like it was going out of style. As I have continued to heal I don't use it as frequently, but it is still apart of my treatment regime everyday and I use it in my detox baths. Peppermint Oil has been used for thousands of years- even dating back to Egyptian time- and has tons of healing properties. Peppermint Oil helps to reduce stomach aches, sooth the digestive system, and even has antimicrobial properties. In addition Peppermint Oil helps to relieve headaches, boost energy, and relieve tight muscles among other things. I have tried several different manufacturers of peppermint oil and while I used Young Living's Peppermint Oil for a couple of years, this past year I discovered NOW's Organic Peppermint Oil and have been incredibly impressed. For those of you that can't afford to purchase Young Living Oils (like myself) I am so excited to share about this because it is an easy and affordable option and is certified organic. I would never criticize another helpful brand, but this for me has been incredibly helpful and I love it! It costs about $12 on Amazon and you can find NOW's Organic Peppermint Oil on Amazon by clicking HERE. I started using this supplement this past summer and after several months I was amazed at how much it has helped my gut. For those that struggle with IBS, abdominal cramps, stomach cramps, etc. that is helped by placing a heating pad on the area this is a great little supplement to have. For those who are extremely sensitive patients like myself, homeopathic options are a great way to go sometimes and this is a key example. For this I definitely recommend giving it several months before you expect to see a major difference. I noticed some result and help from it quickly but after several months I noticed huge results. You can purchase Boiron Homeopathic Medicine Magnesia Phosphorica lots of places (including your local health store) but I found it for a couple of dollars cheaper on Amazon HERE. After trying it for 6 months and seeing the beneficial difference of continuously taking it daily I found it was cheapest to purchase a pack of 5 which can be found HERE. Ideal Bowel Support from Jarrow Formulas is something that I added in a couple of years ago and I have really appreciated it -especially when I am taking certain oral meds. 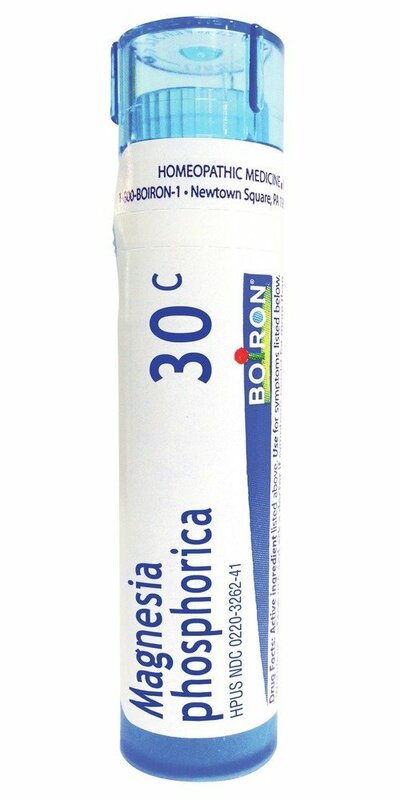 In short, it is a probiotic that helps to reduce bloating, gas, and intestinal discomfort. Ideal Bowel Support contains a clinically-documented strain, L. plantarum299v that resists stomach acid and bile salts. This mixture is a huge help for those struggling with intestinal discomfort. This is a supplement that I take that I see as an "aid" more than an overall healing help. If anyone has research that differs from this I would love to know it as I haven't been able to find any, but I do know it helps me in the day-to-day. You can purchase this on Amazon for 2 boxes for about $31. I haven't seen the price fluctuate that much with this product but have found that often times Amazon will put one box on sale for about $7 which is an amazing deal. This happens a couple of times a year and sells out really quickly so you to watch for it. 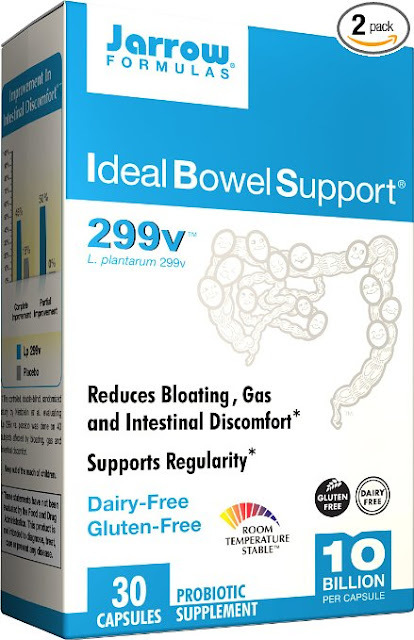 You can find the 2 box supply of Ideal Bowel Support on Amazon HERE. 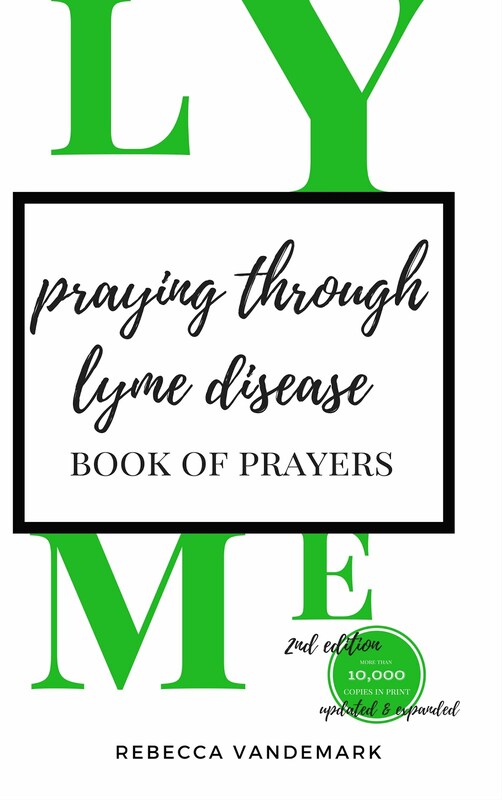 I hope that this product list is helpful for those of you struggling with Lyme Disease or those who are interested in healing your gut! Let me know if you have any questions! This was a really informative post! While I don't necessarily need the supplements (although some of them WOULD probably benefit me! ), it was an interesting view into your world and a little more of what you deal with on the daily. <3 Hugs!